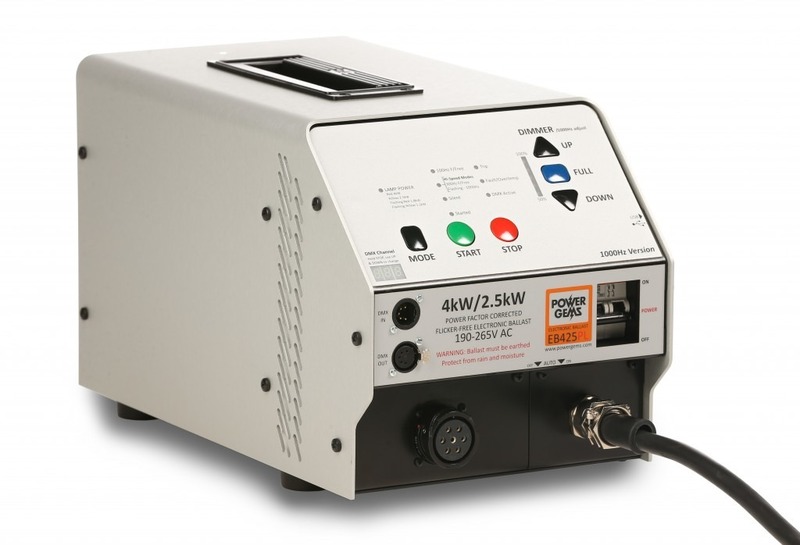 This is a lightweight version of our 4,000W ballast which is suitable for use on supply voltages in the range 190-265V. This allows the product to be 4kg lighter than our standard worldwide voltage model. It features 4 output operating speeds including a 1000Hz mode for High Speed filming and comes with DMX capability as standard. It is based the unique Power Gems modular construction which allows the power circuits to be simply unplugged, and even interchanged with our 1,800W or 800W products.